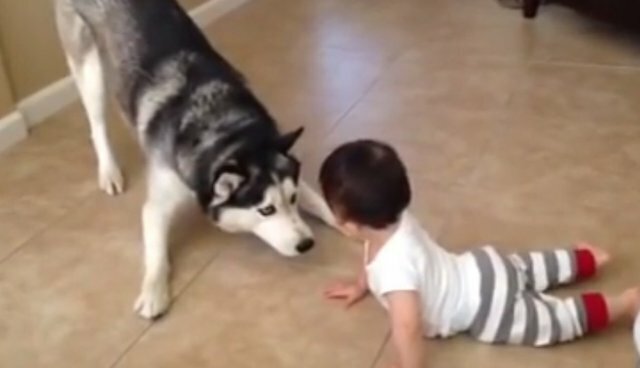 Glacier the Siberian Husky seemed pleasantly surprised when his little human brother Kassius wanted to play. 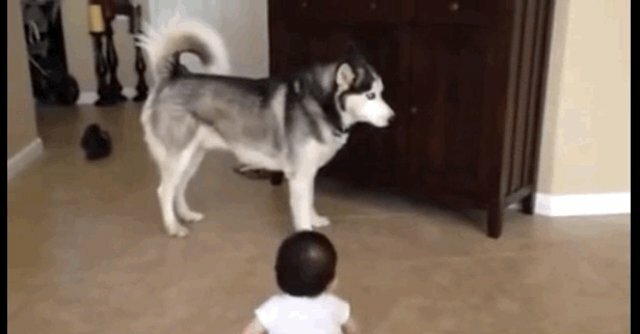 The small, crawling baby was pretty adamant about having a playdate with his husky brother. Glacier responded accordingly with behavior that warms every dog-lover's soul - the playful posture. 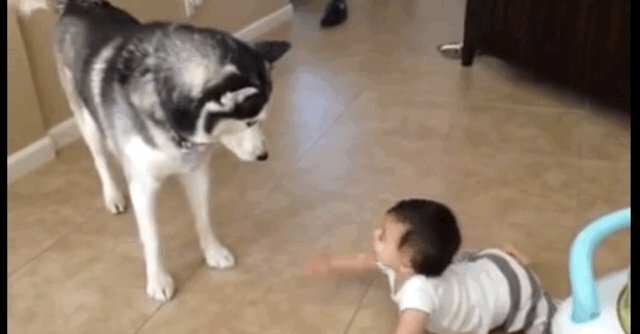 Nothing says "I wanna play with you!" 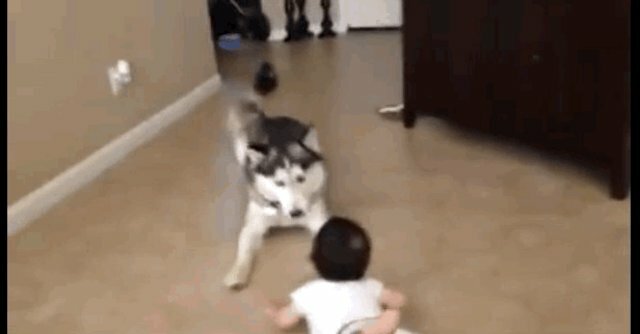 more adorably than a pounce position and some solid tail-wagging. Glacier shows some of his sweet pounce moves, and Kassius tries a bit of lunging himself. He's not quite there yet, but Glacier is ready to show him the ropes. Glacier manages to get a few classic fake-outs in, keeping the element of surprise on his side. 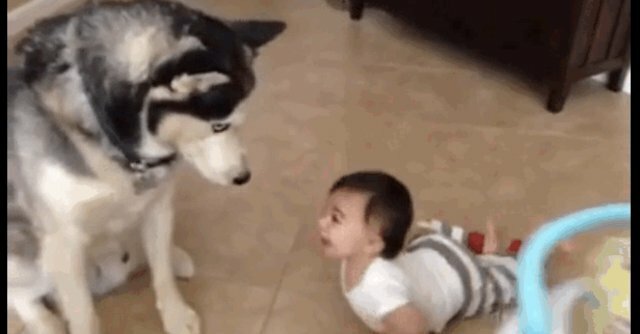 When introducing dogs and babies, it is important to take proper precautions and always supervise the pair when they play. That way everyone's safe and can end up having fun playtimes like Kassius and Glacier!